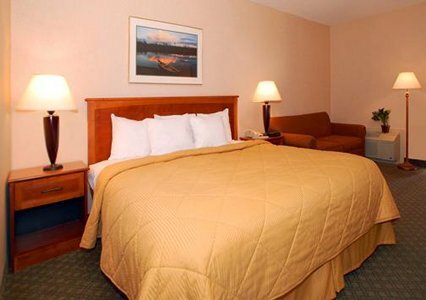 The Comfort Inn & Suites Airport, a Syracuse hotel near the New York State Fair. 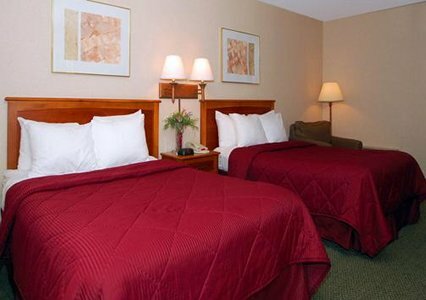 Located just northwest of the junction of Interstates 81 and 90, the Comfort Inn & Suites� Airport is less than five miles from Syracuse Hancock International Airport. Stay and Fly packages are available. Syracuse University, the Rosamond Gifford Zoo at Burnet Park, Onondaga Lake and the Empire Expo Center, home of the New York State Fairgrounds, are close to the hotel. The nearby Alliance Bank Stadium is home to the Syracuse Chiefs, the International minor league baseball affiliate of the Washington Nationals. 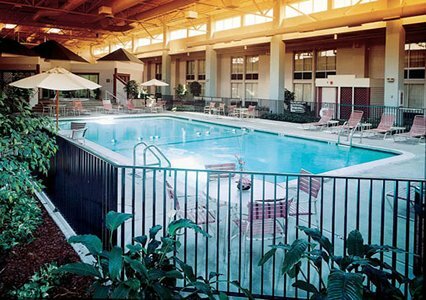 Syracuse's Oncenter Complex, a multi-venue exhibition, convention and entertainment facility, is just minutes from this Syracuse, NY hotel. A variety of restaurants and cocktail lounges can be found in the surrounding area, including the Atrium Lounge featuring a pub menu that is located on the hotel premises. 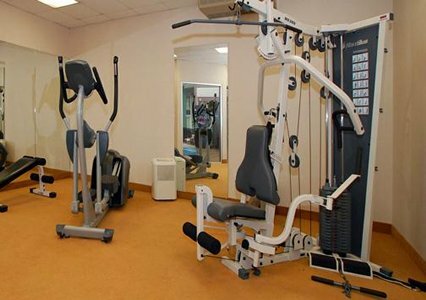 An exercise room and game room are located on site for convenience. Pets are welcome for a small nightly fee. Business travelers will appreciate the hotel's business center, fax services and on-site computer with high-speed Internet access. 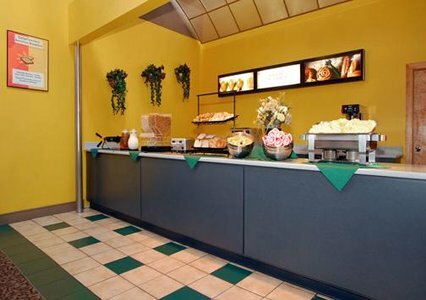 For special events, the hotel has over 3,000 square feet of banquet space and on-site catering staff. 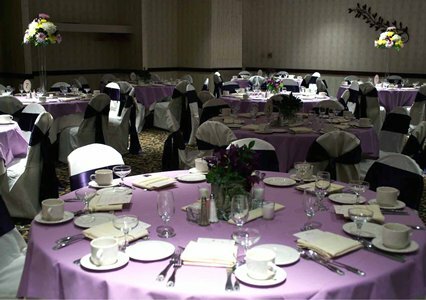 The ballroom accommodates up to 200 people and the meeting room accommodates up to 300 people. Banquet, conference and wedding packages are available. 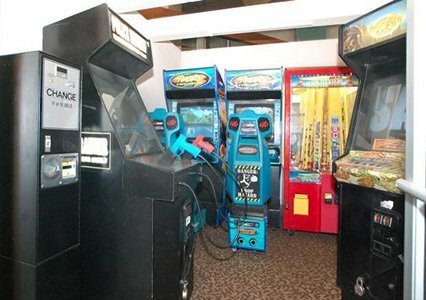 All rooms at this Syracuse, NY hotel come equipped with desks, Nintendo game systems, hair dryers, coffee makers, irons and ironing boards. Some rooms contain multiple-line telephones, refrigerators and microwaves. Select rooms are designated non-smoking. 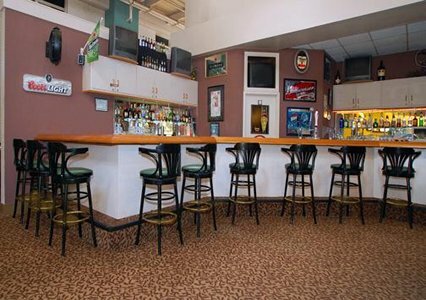 This property also has a picnic area with gas barbecue grills and plenty of parking for cars, buses and trucks. 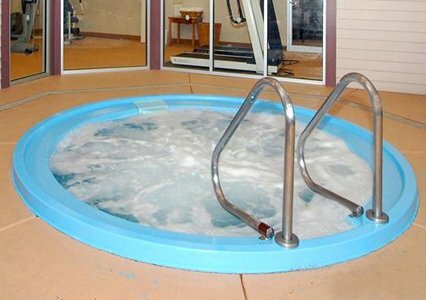 Guest laundry facilities and valet cleaning services are provided. 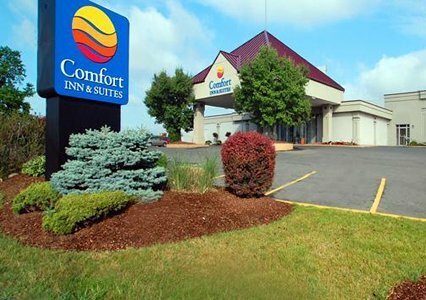 The Comfort Inn & Suites Airport offers you the perfect place to stay on your next trip to Syracuse in upstate New York. We hope to see you soon.